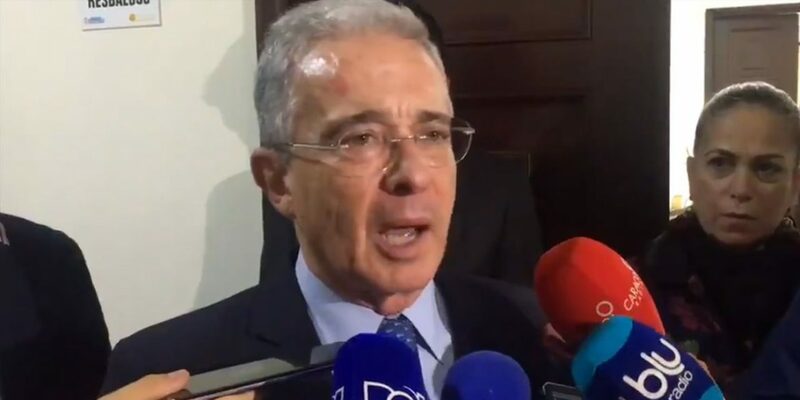 Uribe introduces "massacre with social criteria"
The Tweet was part of a series in which the senator expressed his disapproval over a compromise made between the government and Native Colombians in the southwest after weeks of violence. The Tweet triggered a storm of protest and made the far-right former president’s #MassacreWithSocialCriteria a trending topic on Twitter. The president’s far-right political patron and his defense minister previously claimed that the indigenous protests had been infiltrated by “terrorists” after guerrillas killed a policemen near the protests. Eight indigenous protesters and one student were killed in an explosion at one of the protesters’ camps in what the local indigenous authority called a massacre. Uribe has been linked to two massacres carried out by paramilitary death squads he created when he was governor of his troubled Antioquia province in the 1990s.